What Can A VPN Do With Your Data? VPNs are a fantastic service for internet users, and their invention has greatly increased the overall usefulness of the internet, especially for people in countries with content restrictions and limitations. Unfortunately, not all VPNs are created equal, so finding the best VPN provider is essential if you are going to reap the full benefits of using such a service. What’s important to consider is what a VPN can do with your data once you start using its services and what control you have over its use. For instance, free VPNs will often have fine print that enables them to keep track of your browsing habits, store it, and then sell it to companies that use this data for nefarious purposes. So what are all the things a VPN can do with your data, and what are the potential consequences of using such a service? Let’s take a further look into what happens when your data is sold off, and what ramifications this could have for your online activities, and ultimately, your privacy. How Does A VPN Work, and Why Do You Want One? VPNs are basically just a secure channel between you and the internet. 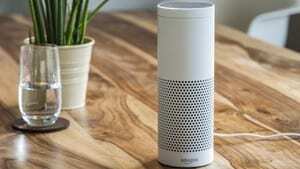 The technology generally relies on different types of encryption to keep your data invisible to outside parties, making it an ideal form of private communication. But it doesn’t end there. VPNs are also able to offer a unique geographical advantage as well, especially for people who live in countries where certain services are restricted. So if you’ve paid for a subscription to a streaming service for movies or music, but it’s inaccessible in your country, you should be able to access it by connecting to a VPN server located in a different country. As a result, users will appear to be connecting from within the other country and can therefore watch or listen as if they were actually there. VPNs are also very useful when traveling abroad, especially if you have security in mind. Some internet banking services only allow users to access their sites if they are connecting from the country of origin, so connecting to a VPN server back home will allow your bank to accept your login request via the VPN. The biggest and perhaps most reassuring benefit is that of security and the peace of mind that comes with it. Knowing that all of your communications are safe and secure means that you can browse all of the secure sites that you would normally connect to, but without the uncertainty of connecting through an unsecure connection. 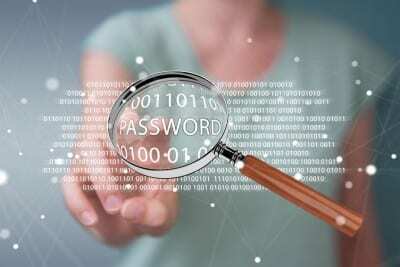 What Data Do VPNs Have Access To? This is a difficult question, mainly due to the fact that not all VPNs have the same standards. Generally speaking, most VPNs do not have any access to your information unless they stipulate otherwise. The data that they could have access to can include: data logs, connection logs, source IP addresses, destination IP addresses, and error logs. On the surface, this information might not seem important, but in the wrong hands, it has the potential to leave you vulnerable to cybercriminals and hackers. Data logging is the process described above, where records are intentionally kept and saved for later use. A decent VPN service will not keep such information and will usually tell its users exactly what kind of data is saved and for how long. Free VPNs, however, might not tell you about the types of data that they track and log, making it extremely difficult to trust them with keeping your information private and confidential. What’s worse is that these services sometimes sell your information to third parties, making you vulnerable to outsiders that have information about your web browsing history and online transaction logs. What are Zero Logs and Data Leaks? “Zero logs” is the way that VPNs describe their logging policies, which means that they keep no information about your online activities at all. This is a sign that the VPN takes your privacy seriously, and that they have no intention of tracking your online behavior or keeping a record of it. The term “data leak” is actually a cybersecurity term, and it describes the process whereby data is disseminated to other parties. This can be done by mistake, through theft, or by selling information to third parties. By signing up with a VPN that uses a zero logs policy, you are far less likely to fall victim to data leaks or any other security breaches. This is why it is critical to ensure that the VPN provider that you choose does not log data or store your history. What’s Wrong with Free VPNs? Free VPNs seem like a good idea, but when you dig beneath the surface, a few details emerge that make free VPNs less attractive. The first thing to note about any online service offering is that in almost all cases, the motive is just like any other business: to make a profit. Therefore, even though a VPN might offer their services for free, they need to cover their overhead by generating revenue somehow. Free VPNs accomplish this by harvesting your data logs and selling them to outside parties. These companies then use this information to target their users by injecting ad campaigns, leaving you vulnerable to unsolicited advertising. Other free VPNs sell your email address and other personal information, making you the target of spam emails and other bandwidth-wasting advertising methods. As you have probably gathered by now, these practices defeat the whole purpose of employing a VPN in the first place, which makes them more harmful than practical. 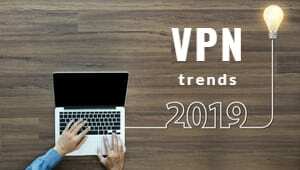 Free VPNs throttle and shape their connections and usually block protocols such as torrents, making the connection to such VPNs worthless to torrent users. Are Paid VPNs Any Better? As the old saying goes, you get what you pay for, and VPNs are no exception. Not only does paying for your VPN service ensure that you get added protection and privacy, but you are also far more likely to have faster connection rates and more geographical options to choose from. This is because VPNs that charge properly for the service that they offer can afford to invest in better server equipment in more locations and with faster connections to the internet. This all comes together to create a user experience that is more reliable and performs as expected, every time. The price that you pay for these benefits is quite minute if you quantify the time and effort spent dodging targeted ads and wasted data from unwanted pop-ups and videos. Choosing a VPN that does not store any logs should be your number one priority, especially if you value your privacy and anonymity on the internet. That Sounds Great! Who Do You Recommend? We are lucky to live in a time where VPNs are plentiful. While the general services that they offer are quite similar, you will find some differences between the paid for VPNs. Two excellent examples of paid VPNs are ExpressVPN and PureVPN. Each of these products has their own differentiating attributes, so be sure to check out some of our full reviews to find out which one will work best for you. ExpressVPN is a well-established product that offers great features as well as having a huge network of over 2000+ servers to choose from around the world. This is combined with an unlimited bandwidth usage policy and no throttling. So regardless of the data that you consume through your VPN connection, you will never be slowed down or deprioritized. They offer compatibility on a wide variety of devices and platforms, with installations available on Windows, Mac, iOS, Android and even Linux. It can also be used on supported routers as well. Express VPN is able to protect your privacy because they are based in the British Virgin Islands, which has no data retention laws pertaining to VPN operators. That means that they keep no activity logs or connection logs. As if that wasn’t enough to interest you, they also offer some excellent security features, such as 256-bit AES encryption, DNS/IPv6 leak protection, a kill switch function, and split tunneling. They also offer a 30-day money back guarantee, which makes them the perfect choice to try out without risking your money. Check them out here. PureVPN is another great VPN option for people that value privacy and anonymity while using the internet. PureVPN offers some useful features such as multiple logins, prioritized protocols on Ozone-Ready servers, and their own take on user safety with a feature called Force Field. For those that are not too sure about paying for a VPN, PureVPN offers a 15-day money back guarantee so you can try out their service risk-free. They have comprehensive customer support with a 24x7x365 helpdesk ready to assist with any issues. PureVPN has750 servers around the world, located in 140 countries, accessible to all users regardless of the package they choose. PureVPN is also P2P enabled, making it a great choice for torrent users. PureVPN can be downloaded from here. Users that value performance, privacy, and a wide range of features should never settle for free VPNs. As we have discussed, free VPN companies have been known to sell your information to other companies that target you with advertising and spam. Never take risks when it comes to your online safety, and always choose a premium VPN service from a reputable VPN company.